I have a mixed record when it comes to finding great hotels in Reykjavik. Part of it is my fault; I haven’t always made the right decisions. Part of the blame though also rests with Reykjavik itself. Until the last few years, the demand for great luxury hotels simply wasn’t there, but that is all changing. 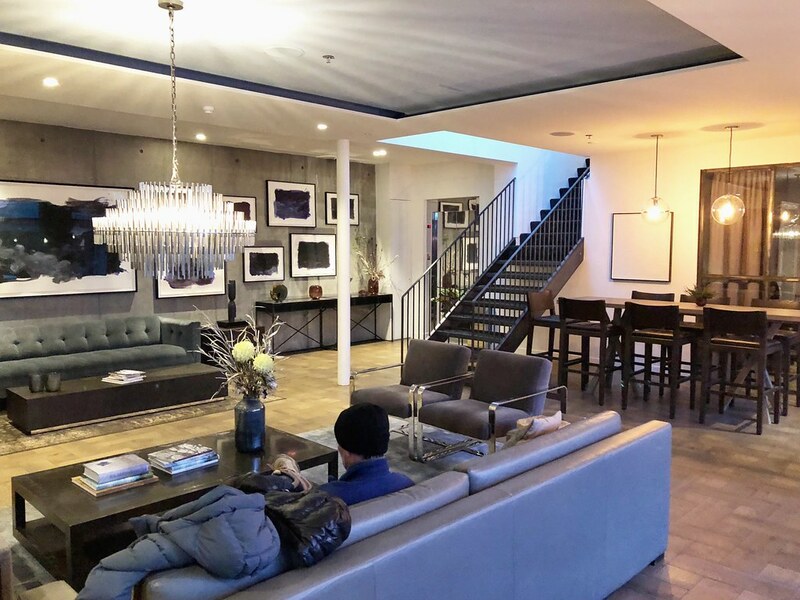 New, boutique hotels are starting to open, offering discerning guests something different away from apartment rentals and the omnipresent CenterHotel chain. One of these great properties is the unassuming but truly exceptional Sandhotel, part of the Small Luxury Hotels of the World collection. Although it was a new name for me, I quickly understood its quiet brilliance and in a very short period of time, the Sandhotel became one of my new favorite hotels in Reykjavik. There’s an excellent reason why I’d never patronized the Sandhotel though, it’s newly opened – first accepting guests in the summer of 2017. Its incredible location is one I know well, Laugavegur. This hip street is home to shops, cafes and restaurants, including my personal favorite the D’Italia. 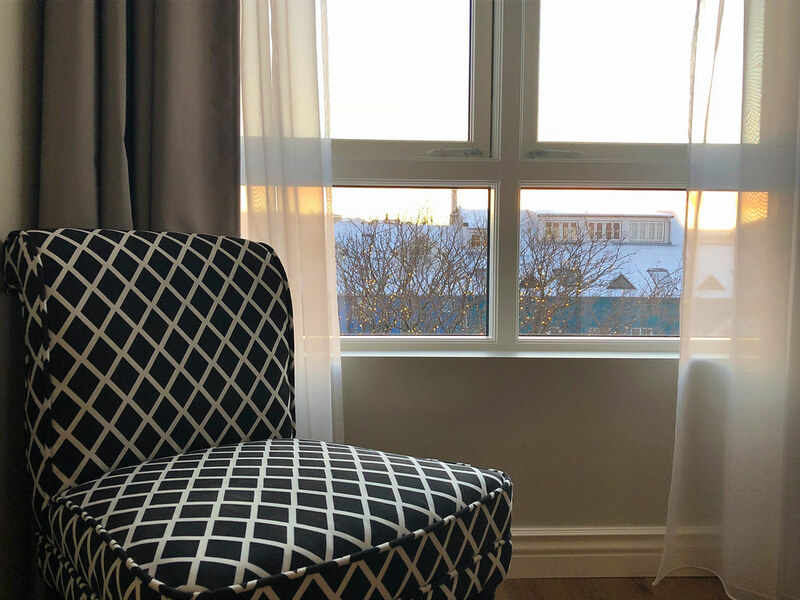 Everything in Reykjavik is an easy walk away and I was excited to experience what is a new trend in Reykjavik, luxury boutique hotels that offer guests a sense of place as well as comfort. The trend in luxury travel recently has been away from cookie cutter hotels and experiences towards those that have a story, that provide a sense of place. The Sandhotel executes these traits with near perfection, starting with the incredible history of the buildings it now calls home. When a local and much loved business closed up shop after decades, an idea was born. That idea quickly morphed into the Sandhotel, which is really a series of adjoined buildings fronting Laugavegur Street. These aren’t any ordinary houses though, each comes with what I think is an incredible history. 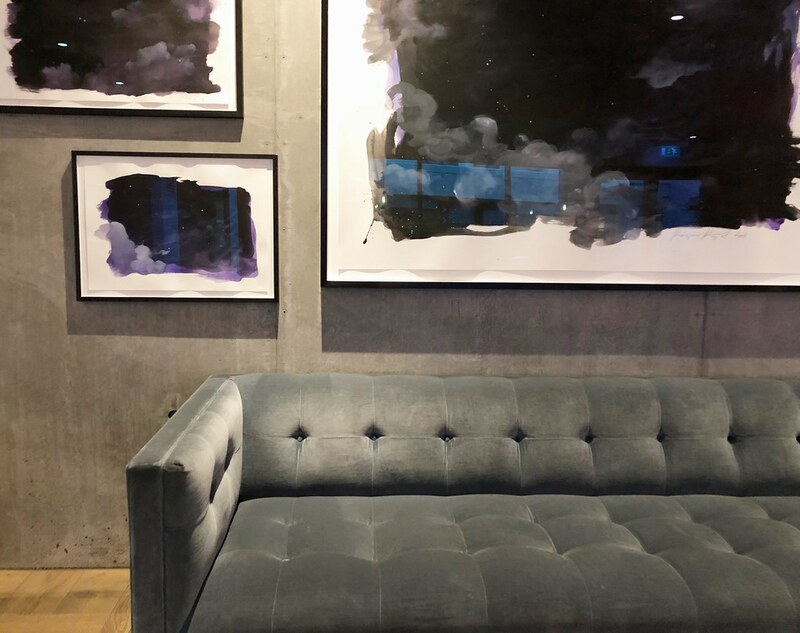 The Tailor, the Writer and the Baker; it sounds like the beginning of a John le Carré novel, but it’s the backstory to this new luxury hotel in the middle of Reykjavik. In 1923, Guðsteinn Eyjólfsson built the 3-storey building at Laugavegur 34, which included a space for his gentlemen’s clothing store. At Laugavegur 32, esteemed author and Nobel Prize winner Halldór Laxness was born and the building is now a historic landmark. The house of the baker is still very well known and is where you’ll find one of the best cinnamon rolls in the city. Sandholt bakery has been serving the local community for generations and is still going strong. These aren’t just the buildings that make up the remarkable Sandhotel, they’re the living history on which everything at this remarkable property is based. It’s easy to miss the entrance to the Sandhotel, but I imagine that’s part of the concept. When checking in, I had to ask the folks at the bakery where to go; they smiled and kindly directed me next door. Walking into the main lobby I was surrounded by everything I love most about Icelandic and Nordic design. Everything has its place, there’s nothing ostentatious and yet the design is elegant and comfortable. It also pays homage to Iceland’s culture and history with furniture, fabrics and artwork all of Icelandic origin. Checking in I was surprised to be given a smartphone for my use while in town, a handy device I used within seconds after the staff punched in directions to the parking garage. That level of service came to define my time at the Sandhotel. Every small touch and detail is well thought out with the guest’s comfort front of mind. Anyone can design a nice lobby though and I always judge a hotel based on the room experience itself. This is yet another area where the Sandhotel sets itself apart. Even in Icelandic hotels that are considered to fall in the luxury category, they still miss some of the simple touches that define luxury properties in other parts of the world. The Sandhotel does not make this same mistake, as I quickly noticed following closer inspection of my room. The beds are true beds and not two twins pushed together. The linens and comforters are almost impossibly plush and comfortable, making me want to sink into them and never leave. With a reading nook and other spaces designed to make guests feel at home, I felt as if I was visiting the house of an incredibly fashionable friend. Using the architecture of the buildings to its advantage, no two rooms are the same, whether it’s the exposed beams or the bathrooms with signature touches. With an adjacent bakery, breakfast is understandably one of the hallmarks of any stay at the Sandhotel, but they also have a small restaurant and bar in the front of the hotel that is open all day, serving guests and curious passersby. With such a great location though, I suggest enjoying breakfast at the hotel or bakery and perhaps a drink in the evening, but be sure to explore the city for dinner. There are many fantastic restaurants within a very short walk of the hotel; too many to choose from, if we’re being honest. Location is everything and is a quality I take very seriously when booking a hotel. That’s especially important to me whenever I visit Reykjavik. Many times I’ve ignored so-called high-quality hotels because of their suburban location. 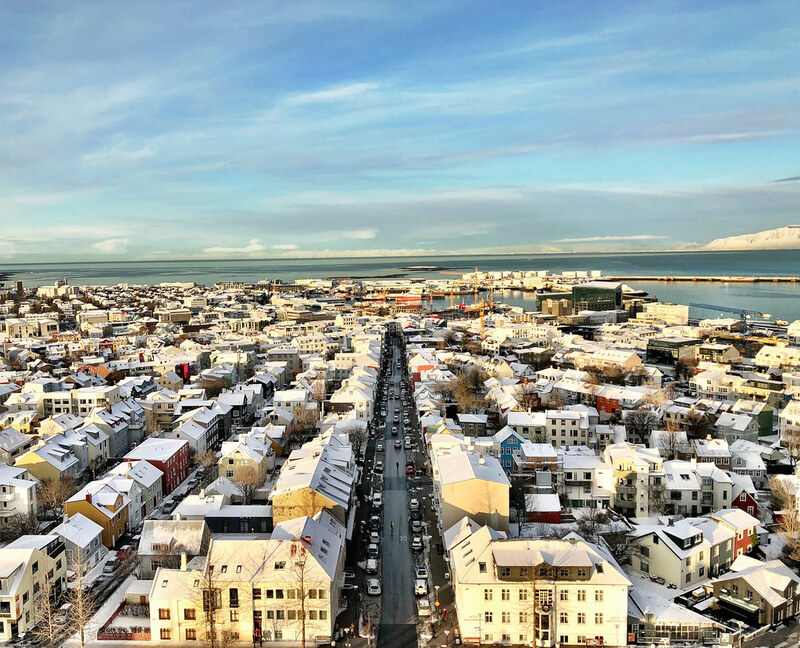 Reykjavik feels like a small town to me, and I want to enjoy that spirit to its fullest and the Sandhotel’s superb location was everything I’d wanted and more. My favorite restaurant in town was just a few doors down, and spending the day re-exploring my favorite spots in Reykjavik was easily managed from the Sandhotel’s location. It simply just doesn’t get any better no matter what you want to see and do in the Icelandic capital. I’ve stayed at many different hotels in Reykjavik over the years, almost never completely happy with the experiences. Either the rooms were too small, the staff too rude or the location too inconvenient to warrant a second stay. Sandhotel is different though; it’s the first time I’ve left Reykjavik completely happy with the hotel experience and that, above anything else, has endeared them to me forever. Iceland and Reykjavik in particular mean a lot to me personally, and to know that I have found a new and comfortable home whenever I visit is the missing piece I have been searching for in all of these years of visiting.